Silver Clouds is the fourth novel by Fleur McDonald. From the author of the bestselling outback sagas, Red Dust, Blue Skies and Purple Roads, this moving novel is about making peace with the past, overcoming fear and insecurity, and the healing power of love. 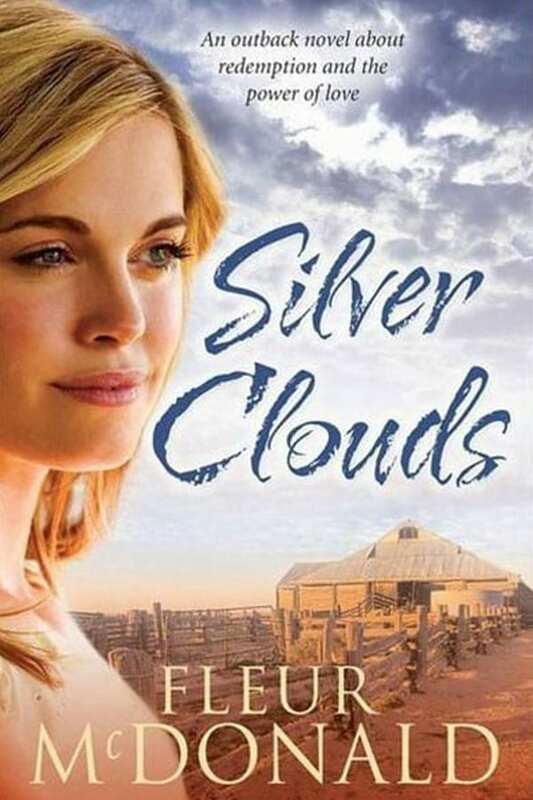 Previously titled Silver Gums, Silver Clouds is an enthralling rural saga about a young woman who must come to term with past mistakes and a major tragedy in order to find peace, happiness and love. When marketing executive Tessa Mathison leaves London to attend her great-aunt’s funeral in Australia, her life is in turmoil. An indiscretion during a boozy night out has resulted in Tessa’s name being mud in London’s cliquey marketing scene, and soon after she arrives in her homeland she discovers she’s been sacked. Tessa’s childhood home, Danjar Plains, is an isolated station which holds some bad memories for her. She plans to escape it as soon as the funeral is over, but then an unusual request in her Aunt Violet’s will makes it impossible for her to leave. When charismatic and charming Brendan McKensie introduces himself to Tessa, staying at Danjar Plains no longer seems such a hardship. As various secrets begin to unravel, Tessa realises letting go of her heart may hold the key to unlocking both her past and her future.